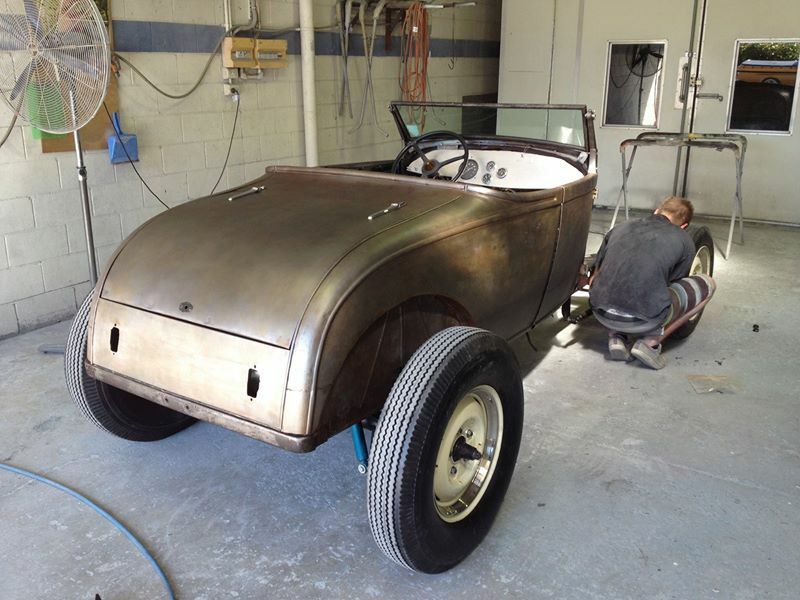 The paint shop team finished the paint on our 28 Model A roadster this afternoon and handed it back to the fab shop for completion. How good is that antique bare metal finish? And I love how the gloss firewall provides contrast to the matt cleared body. The new aluminum interior and the flathead V8 will be re-installed tomorrow. We also plan to add some subtle pinstriping as well. I will post some more photos of the finished car soon.